We provide 3 locations for your wedding. Two idyllic outdoor settings and our beautiful glassed Chapel with its own private garden. 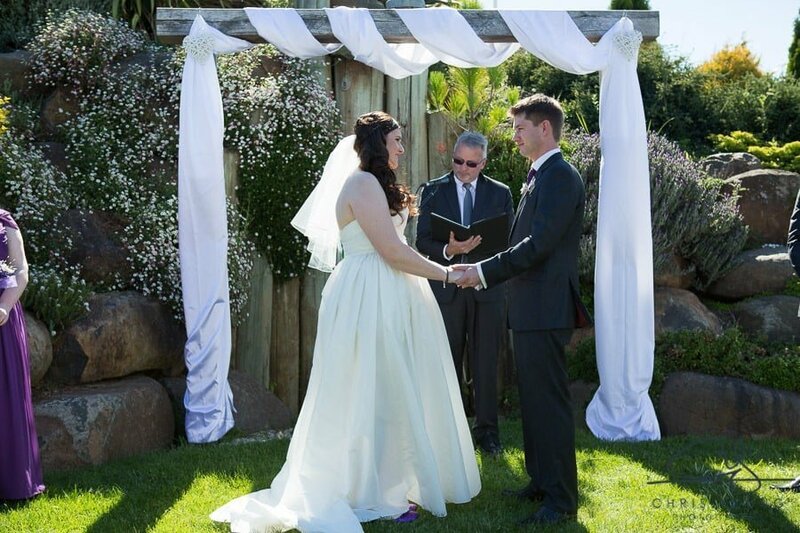 If you are looking for a celebrant then we do have our own in-house celebrants. We have four spacious rooms to choose from each unique and catering for different styles. The Freycinet is our largest space which can seat up to 350 people in a banquet style arrangement. With beautiful views of the river and valley, the Tamar Room accommodates up to 100 guests. Our Architecturally designed round Chapel creates a beautiful ambience night or day. The Cafe has breathtaking views and can accommodate up to 80 guests. Our Head Chef, Kelvin Bowers, is a phenomenal chef. He creates amazing food ensuring your wedding day is delightful to the taste buds. Catering to dietary concerns, vegetarians and vegans are a speciality, and unique menus can be designed to accommodate. Our Beverage menu is a simple menu. We are able to source beautiful local wines from the wineries within the Launceston region. We offer beverage packages or we can just base costs on consumption. 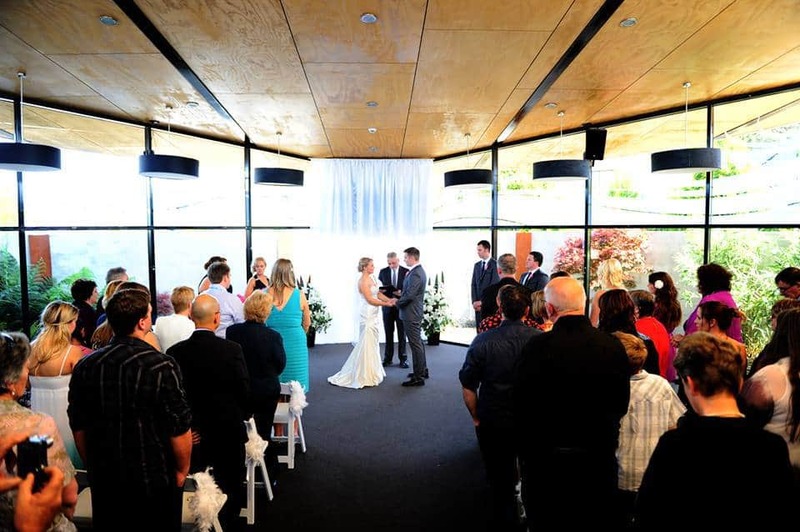 At the Tailrace Centre, we have a number of styling packages available to assist with your wedding.